Size: 474 sq.ft. - 901 sq.ft. Another ultimate tower of 30 Storey housed at one of the most iconic place in the heart of Dubai "Business Bay" by Dubai's leading developer DAMAC Properties.This stunning community is named as RevaResidences, the name itself defines a home where luxury has no limits.Business Bay community area covers about 46.9 million square feet and 22.1% is occupied by residential towers and 18.5% is allotted for commercial use.Reva Residences is accessible to Outdoor Coutryard, landscaped gardens, Children's play area, temperature-controlled swimming pool, Gym, Steam and sauna rooms. The Completion of the project is scheduled for February 2021. Reva Residences units will offer views of Dubai Mall, Burj Khalifa and Dubai Canal. Interior of Reva Residences includes beautifully styled 24 hour serviced lobby, spacious bathrooms, tastefully appointed interiors and fitted kitchens.The 1 & 2 bed apartments configurations depict perfect luxury and each home is artfully crafted to utilize the best of every inch. This development is for those who are seeking a lively community with an ultimate lifestyle. 1 Bedroom ranges from typical size of 474sq.ft where 2 BR area size ranges at 901sq.ft. Two BR homesat AED 1,300,000. Damac Group was established in the year 2002. Since then the group has been offering Residential, Commericial and Leisure developments to fulfil requirements of every type of buyer. Damac company has expanded cursorily in Saudi Arabia, Jordan, North Africa, Lebanon & Qatar. Their most of the projects are housed in Dubai and the Middle East location. Till date DAMAC Properties has achieved a milestone by completing almost nine thousand units. The group have more 50 buildings at various stages of progress across the Middle East & North Africa region. Reva Residences is in close proximity to the prestigious Downtown Dubai district, giving residents remarkable views of the Dubai Canal and their vibrant surroundings. The location of Reva Residences will make the development a very popular choice. Business Bay is a central business district which is connected to the rest of the city by an intricate transportation network of trams, buses, the Dubai Metro as well as land and water taxis. Furthermore, this central area in the heart of the city offers unrivalled vistas of some of the world’s most iconic landmarks whilst offering the perfect fusion of a metropolitan lifestyle combined with comfort and luxury. 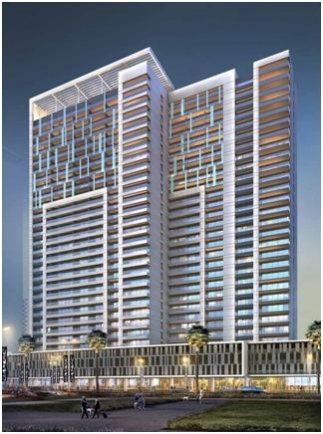 Reva Residences project is addition to Business Bay Community at Al Abraj St, Dubai, United Arab Emirates. Restaurants: - Zen Restaurant, Circle Cafe, 25 Degrees North - Bay Square, Pak Sufi Restaurant.